While the Dynasty Warriors license had not changed since Dynasty Warriors 8: Empires back in 2014, it was finally time for the team over at Omega Force to shake things up, after years of critics pointing out a clear rehash of assets and monotony in the franchise. With Dynasty Warriors 9, the plan was to bring freshness but also major changes in the usual mechanics and environments, going from restricted linear arenas to now an open-world Musou adventure with sidequests and different story branches. After hours played on Xbox One X and PC (thanks to Mazen Abdallah’s input), we can finally give you our verdict, and sadly it’s not as impressive as we would like it to be. While the license Dynasty Warriors is known for its battle arenas lacking any sort of freedom, this new opus decided to give players the choice. 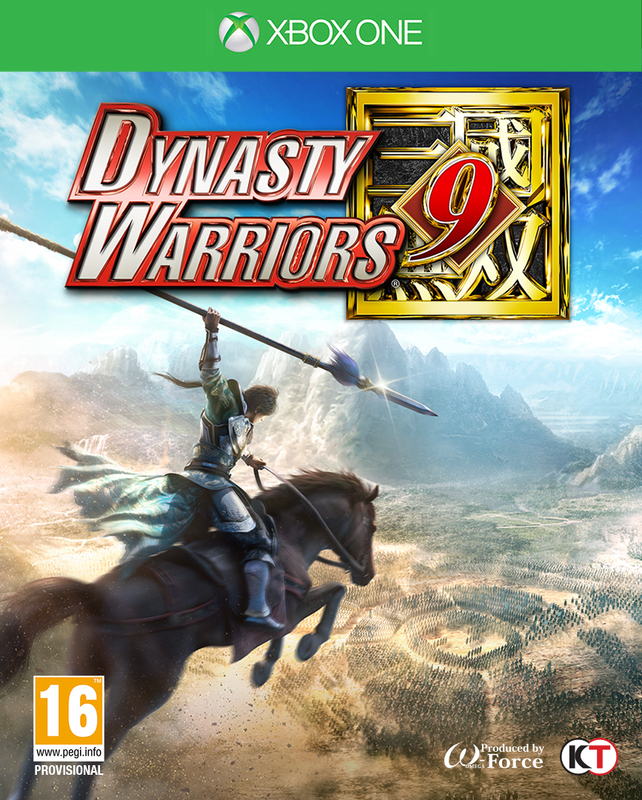 While it might be seem absurd to mix a Musou with open world gameplay mechanics, yet Dynasty Warrior 9 is great at this fusion. There’s been some serious hard work from the team at Omega Force to give players a sense of freedom on the game’s large map, which myself and Mazen only unveiled less than 20% of it throughout our combined 25 hours of gameplay. But don’t expect anything along the line of the recent Assassin’s Creed Origins or other similar “kings” of open world adventures, as Dynasty Warrior 9’s environments are not really varied. I could list down the whole asset bank to maybe a rough 50-60 items, with simple pine forests and 220–280 AD styled Chinese cities and towns, but the small variations between them gives an overall decent looking game. It’s not sadly textures or design elements worthy of a next generation console, so don’t expect anything mind-blowing on that front, with the exception of the playable characters being well modeled and rendered (even if some of their animations can be awkward). The first worry though about this lack these low resolution textures, crude assets and 3D elements makes this huge map feel terribly empty and lacking any sort of life. To resolve this, the developers have flooded the map with an insane amount of tasks and quests that allow you to explore the area without getting bored. This will help a lot while you are traveling to your main story quest, and end up getting distracted by a group of raider waiting for a beating, or an allies calling for help. Thankfully, your journey will not always done on foot, which helps break the monotony of the map design, as the game introduces horses as a companion to all characters, summoned – like most other games – with just a whistle. But other than using it for transportation, you can also “train” your horse thanks to a level system that climbs up with the time spent on its back. These stats will affect skills, as well as combat like boost its impact on enemies, and so on. My biggest concern though for Dynasty Warriors 9 is that its ambition for grandeur is not met by its technical capabilities. Regardless of the rather crude textures, and lack of variety in terms of assets and visuals, the game is pretty much a chaotic battle for the engine to keep up with a steady framerate. As an Xbox One X owner, I was expecting a rather steady performance, instead it seems the console if barely reaching a 22fps when in combat, even after changing the options to the action mode (which prioritize faster framerate stabilization) instead of movie mode (more focused on resolution). Don’t get me wrong, I’m not obsessively into technical specs and resolutions like most of my other colleagues, but not even reaching 30fps on a powerful console is unacceptable, because it’s all down to engine optimization. You’ll end up having to deal with screen tearing galores, and even a weird input lag, but the latter could be my eyes playing tricks on me due to the intense framerate drop. So what about the PC version? It should be better, right? To begin with, we should probably point out that Japanese game studios often have trouble adjusting to PC, and Dynasty Warriors 9 is unfortunately no exception. The menus are confusing, and there’s no proper guidance for keyboard controls. Mouse movement doesn’t feel smooth at all, and it seems like the button mapping was an afterthought. In terms of performance, things are okay overall. Mazen didn’t face that many serious issues in performance through some of the main sequences. However, the framerates take noticeable dives when things get too busy, and it is as well struggling to hit the 20fps mark in some of the battles. Even on our review system, which has pretty solid hardware, the game chugged through the more action-heavy sequences. Moreover, there were several graphical glitches like textures not loading properly or assets coming in wonky. On the whole the game isn’t great on the PC, but it’s not one of the trainwrecks we’ve seen from other studios. Story wise, Dynasty Warriors 9’s premise is pretty much the same as the franchise previous major titles (remakes and spin-off included), based on the historical novel Romance of the Three Kingdoms (the battle between the Wei, Shu and Wu states). In this title, you are given control one of the five dynasties that the game offers you, led by their champion, which once picked will give you an opportunity to see that same clan’s story into the this feudal war that happened from 220-280 AED. When we talk about champions though, don’t expect a handful, as we are talking about 90 playable characters in total, which are unlocked gradually throughout the main campaign mode. Of course, like previous games, each character has its own advantages, weaknesses and unique skills, which will push you to find one that best fits your action game fighting style. While most of the characters in Dynasty Warriors 9 are easily able to decimate the enemy ranks without any difficulty, your preference of which one to pick will be based on what kind of officer or captain against you, or if a mission has you hunt wild animals that are usually more agile. In addition to the basic hack and slash attacks, each officer has a unique special that can be used when his (or her) bar is filled, as well as three trigger attacks that are used to either stun enemies , launch enemies into the air to flow a combo or knock down enemies to the ground (each with its own cooldown time). Nevertheless, Dynasty Warriors 9’s combat still remains the same when compared to previous games. You are pretty much leading the charge like the mighty clan hero you are, and fight large wave of enemies, until you find an their own officer. Most of these “minions” do not give you much resistance, and unless you come across an opponent with a much higher level, you are pretty much a warlord. And here’s the fun part: if you find and eliminate the officer, then the entire platoon crumbles down, and you won’t bother with those minions. If you do feel like those fights are difficult, then you can of course make use of the leveling system for your character, but I found it a tedious game mechanic. Indeed, during your adventure, it will also be necessary to update your equipment and for that it is necessary to recover weapon schematics (parchments), and collect enough materials to craft them. Whether you want to make weapons, accessories and objects of all kinds, you can either buy them at specific merchants in town, or craft them yourself, but the grind is real on that front. Dynasty Warriors 9 might have managed to reboot a franchise that has been criticized for so long to not take enough risks, but gets hurt by its unmatched technical upgrade and repetitive gameplay. It's still at the root of it a Musou like all games, regardless of its open world setting and added RPG mechanics, but its niche appeal, painful framerate drops and crude textures will probably only make the game stand out in its own genre.